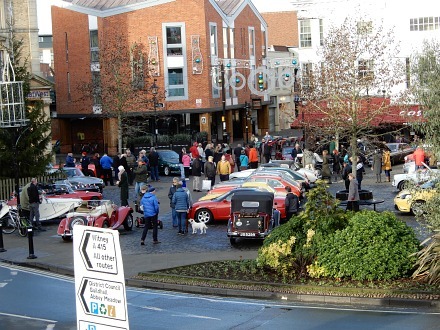 On Boxing Day, in days gone by, the Old Berks Hunt would sometimes meet on the Market Place in Abingdon. 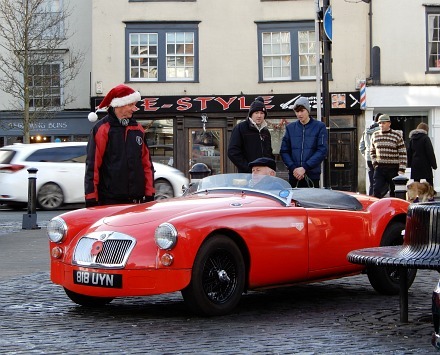 Nowadays the horses have been replaced by MG Cars, and the ride is around the lanes of Oxfordshire, not Berkshire, to give the cars a winter run. Before the off there is a chance to look under the covers of the MGs. Combustion engines may have replaced horses but their mechanical power is still measured in horse power. The chrome and paintwork need a good polish, as did the horse brasses. 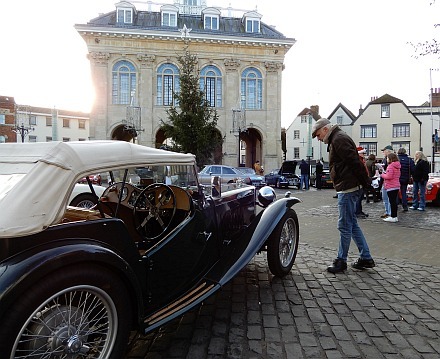 Before the off there is the chance for people to chat about the idiosyncrasies of their rides, and to have a warming drink from one of the coffee houses that do so well in Abingdon, round the Market Place. 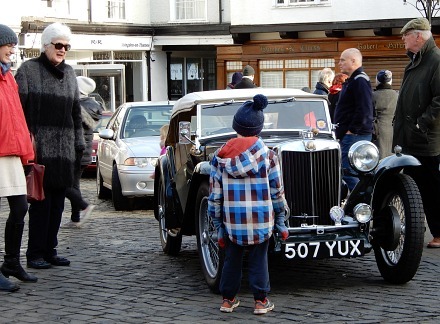 Youngsters may recall, in years to come, seeing the Old Boxing Day MG gathering on the Market Place. Unlike the Old Berks Hunt, where the horses and hounds left in a pack, the MGs leave in ones and twos to follow the Boxing Day route. 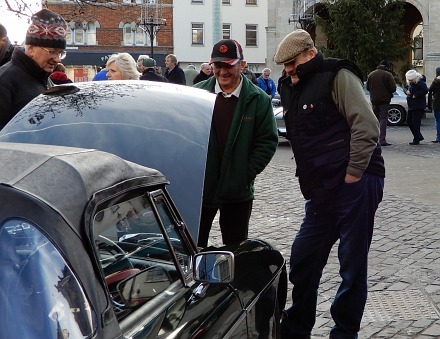 In 2017 it ended at The Black Horse at Gozzards Ford. We’ve been to this the last two years – great fun! 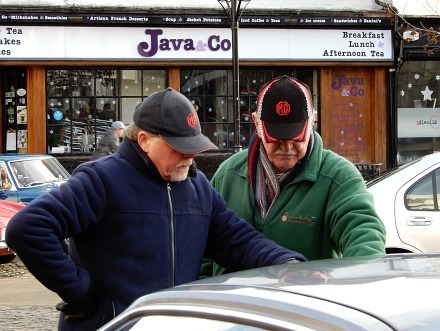 The cars are immaculate and the owners so keen to chat about them. The coffee shops are open too and do a roaring trade. A great morning – and so lucky with the weather! on balance i’ll take the cars over the sociopaths anyday. what goes on in the minds of the people who kill for fun at the point of death?